Spirited Arts ‘Art in Heaven’ is an annual art competition for primary and secondary school pupils, hosted by NATRE. In its 15th year, this competition has attracted over 320,000 participants (averaging 20,000 per year) since 2004, with 2,000 entries being sent in to NATRE each year for judging. Hundreds of UK schools get involved, and we get entries coming from as far afield as Cyprus and Australia, Indonesia and South Africa. 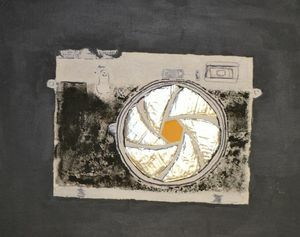 The annual competition starts at the beginning of every school year and runs through to 31 July, in order to enable teachers to incorporate the art competition into their RE lessons. Many schools have an ‘Art in Heaven’ unit of work, or a special learning RE/arts week. Judging of the competition is by RE Today Advisers and students, takes place in August and winners are announced in the new academic year. We have some exciting new themes for you and your pupil's this year! Click here to download the 2018 entry form and full details of themes. 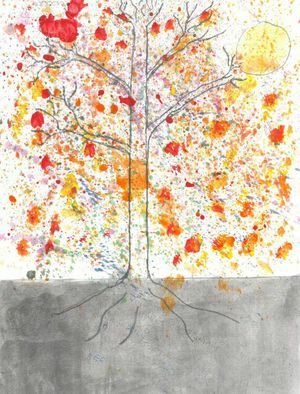 We are looking forward to another year of wonderful, inspirational and unique artwork from your pupils. More information about the competition can be found here or please get in contact with Natre here you have further questions. 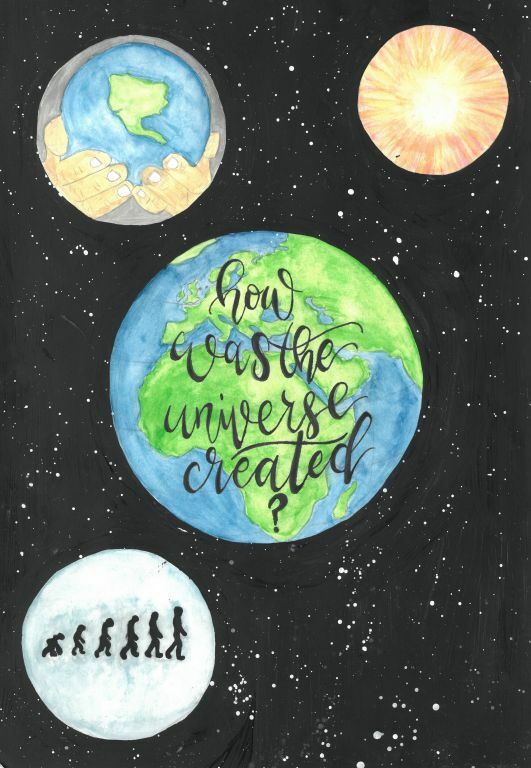 'How was the Universe Created? ', Brooke, 14. 'Not Fully Developed', Ella, 13. 'Where is God', Oscar, 10. 'The Road to Love', Mia, 8.